This book does not set out once more to raise the alarm to encourage us to take radical measures to head off climate chaos. There have been any number of books and reports in recent years explaining just how dire the future looks and how little time we have left to act. 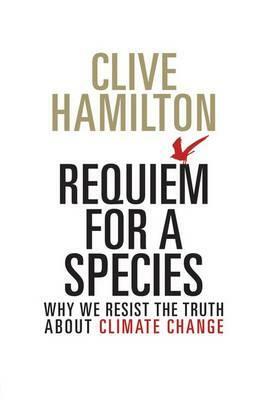 This book is about why we have ignored those warnings, and why it is now too late. It is a book about the frailties of the human species as expressed in both the institutions we built and the psychological dispositions that have led us on the path of self-destruction. It is about our strange obsessions, our hubris, and our penchant for avoiding the facts. It is the story of a battle within us between the forces that should have caused us to protect the Earth - our capacity to reason and our connection to Nature - and those that, in the end, have won out - our greed, materialism and alienation from Nature. And it is about the 21st century consequences of these failures. Clive Hamilton is author of the bestselling Affluenza and Growth Fetish, of Scorcher, and most recently Freedom Paradox.